Lars Lindstrom lives a secluded life in a small Wisconsin town. It is gradually revealed that his mother died when he was born, causing his grief-stricken father to be a distant parent to Lars and his older brother, Gus. Gus left town as soon as he could support himself, returning only to inherit his half of the household when the father died. 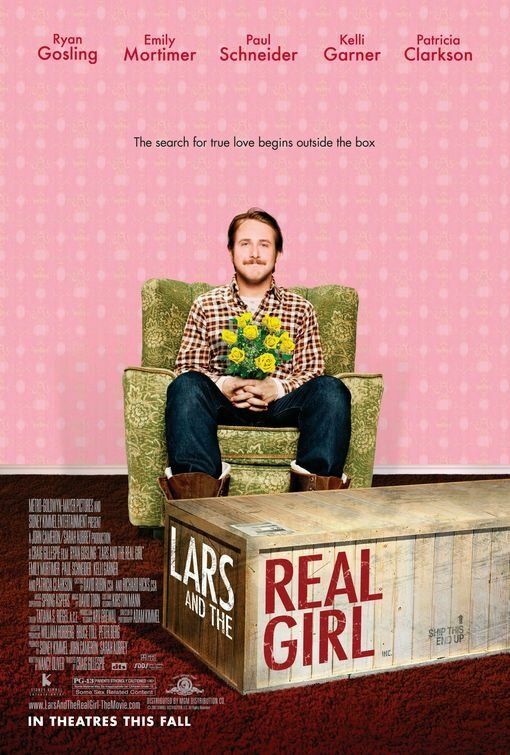 The inheritance has been divided between the brothers: Lars lives in the converted garage; Gus and his (pregnant) wife Karin live in the house proper. Karin's attempts to invite Lars into the house for a family meal are usually unsuccessful; when he does come, conversation is difficult and he doesn't stay long. He avoids social contact, finding it difficult to interact with his family, co-workers, or members of his church. A co-worker, Margo, is interested in him, but he avoids anything more than brief encounters. Read more on Wikipedia.